Hot Toys has released images and details for three upcoming Avengers: Endgame Figures. The new updates give us a look at their Hawkeye 1/6 Scale Figure, their Deluxe Hawkeye 1/6 Scale Figure, and their War Machine 1/6 Scale Figure. Unlike every other company, Hot Toys is referring to Clint Barton as Hawkeye in their posts, as opposed to Ronin. It remains to be seen how that will play out in the film. The standard Hawkeye includes an unmasked portrait, a bow, arrows, interchangeable hands, and throwing knives. The Deluxe Hawkeye includes those items, as well as a masked head sculpt, &#187; Continue Reading. 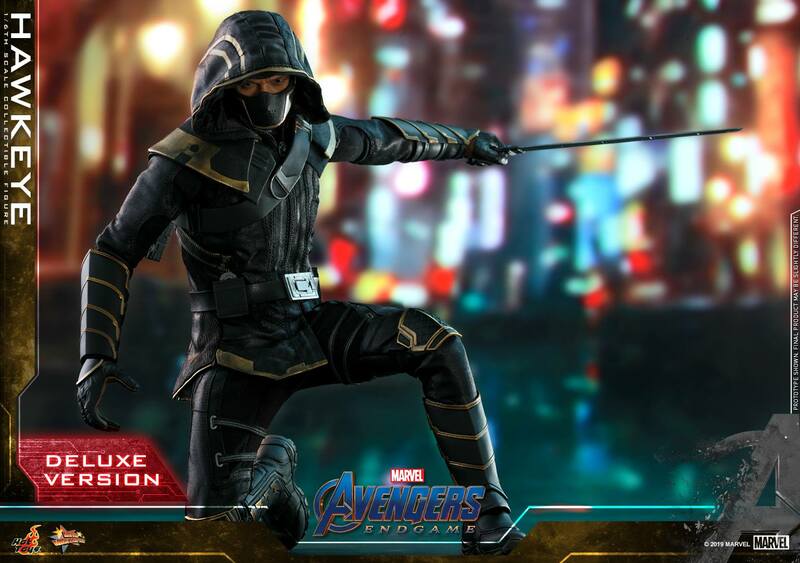 The post Avengers: Endgame – War Machine and Hawkeye/Ronin Figures by Hot Toys appeared first on The Toyark - News.